Mandy feels very privileged to be able to work together with people with long-term conditions and their families and hear their stories. She also enjoys contributing to research that brings about positive health service system change. 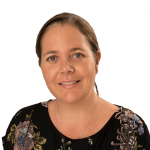 She is a health researcher at the School of Physiotherapy, University of Otago and is pleased to be working with the WellConnectedNZ team. Mandy is particularly enjoying the warmer days and spring blossoms (Christchurch is looking amazing at the moment), and likes nothing better than curling up in a warm spot with a good book. Most recent book is “The Choice” by Edith Eger – a very thought provoking read!